The one hundredth anniversary of the Great War is prompting a renewed effort at both the popular and academic levels to ensure that the different units and countries involved are not forgotten. While not supplying combat troops, China entered the First World War on the side of the Allies, furnishing much-needed labourers, 140,000 by conservative estimates and possibly more, who played an essential role on the Western Front and other theatres, taking responsibility for a wide range of tasks. Among others, unloading military supplies and handling ammunitions, building barracks and other military facilities, digging trenches, and even agriculture and forest management. 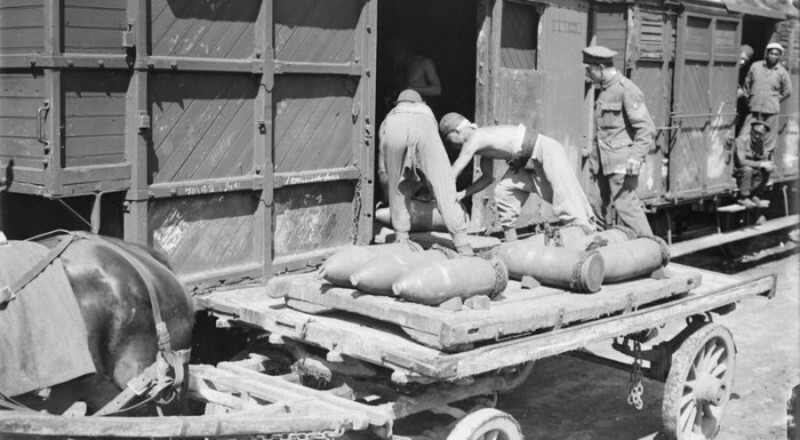 While their essential contribution was recognized in British documents, both Paris and London saw them as a temporary expedient, to be ended as soon as the war was over. Furthermore, their deployment gave rise to all sorts of culture and language clashes, in addition to the dangers of travelling to Europe and surviving in close proximity to the battle field. However, beyond these travails, the Chinese Labour Corps left a significant legacy, with members seeing the world, experiencing other nations, and often becoming literate. More widely, despite being on the winning side, China’s failure to secure any gains at Versailles prompted the May 4th Movement and can be seen as a key juncture in the long and winding road from empire to nation-state. It is an important reminder of the global nature of the Great War, whose impact extended far from the battle field to all corners of the world. Thus, although her own nation-building process was far from complete, Chinese leaders decided to join a conflict which, while global in nature, had its origin and main focus thousands of miles away. Ideally, being on the winning side would help China consolidate and increase her national stature, but as we shall see later, things would turn out quite differently. What was clear in 1916 was that whereas China had little, if any, expeditionary military capability to offer to the Allies, it had something they desperately needed: manpower. The concept was simple: import Chinese labour, thus freeing British and French young men for combat duties. Although the Chinese and Japanese governments concluded a military agreement whereby Tokyo would provide “aid, advisers and instructors to develop the Chinese War Participation Army to support the Allied cause,” no troops were deployed to Europe, and Japanese aid simply served the purpose of reinforcing Duan’s troops concentrated in North China.8 Germany, on the other hand, provided financial support to Sun Yat-sen’s alternative government in Guangzhou, in the hope of pushing China back into neutrality.9 As was the rule in those years, factional interests frequently took precedence over the exercise of national power. 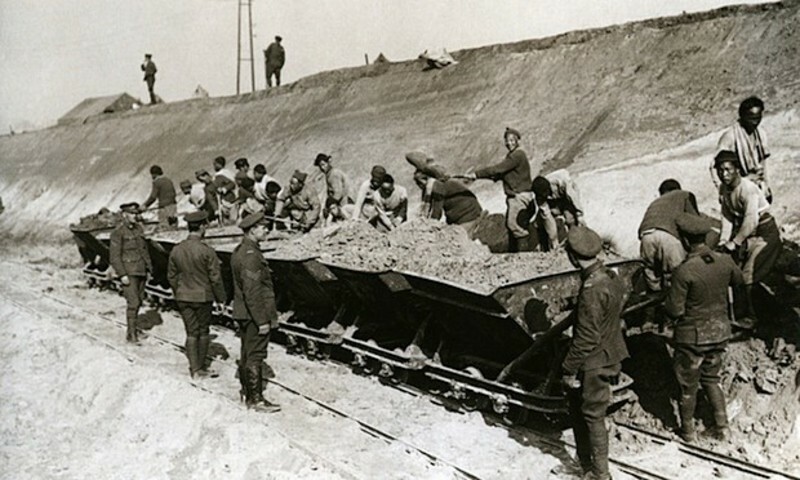 The Allies quickly realized that their manpower pool was simply not large enough to feed this ever-growing need for construction and logistics labour. At first arrangements were often ad hoc, but the scale of the fighting, the inadequacy of some earlier approaches, and the realization that this would be no short conflict, soon gave way to a more systematic approach. France was the first to tap into China’s huge labour force. Great Britain followed, with both countries already in negotiations with China in the summer of 1916.10 According to the Official History: ‘…although some labour units were raised and eventually labourers from various parts of the Empire and China were brought to France, the numbers were never at any period sufficient for the demands of a great army operating in a friendly country’. Despite this, it is clear that Chinese workers played a crucial role in sustaining the Allied armies in the field. Precise numbers are not available, with some sources mentioning that in August 1918, 96,000 were enrolled in the British Labour Corps, with a further thirty thousand working for France,11 but Chinese sources stress that the specific number is disputable and that 140,000 in total for both France and Britain is a conservative estimate.12 Guoqi Xu notes the “sizable discrepancy among the figures provided by different sources” and provides a range from several authors.13 Among others, he mentions the Dictionary of the First World War by Stephen Pope and Elizabeth-Anne Wheale, eds. (320,000)14, Arthur Philip Jones (150,000 Chinese workers in France, Mesopotamia, and Russia)15, Chen Sanjing (between 175,000 and 200,000 adding those recruited by France and Great Britain)16, and CLC interpreter Gu Xinqqing (175,000 again as a joint figure)17. He also quotes a US War Department telegram (97,000 recruited by London, 40,000 plus 1,500 specialists by Paris)18. We could add that, although Paris was first to tap China’s vast labour pool, there were precedents in Great Britain for the employment of Chinese at times of war to free military and naval personnel from other duties. This includes the Napoleonic Wars, during which ‘Chinese men who worked in merchant ships were then used by the Royal Navy in support roles to provide cover for the British men who were away fighting, such as ships’ porters’.19 London also used colonial workers in the Indian, Egyptian, and South African Native Labour Corps. Even before China had formally declared war, a processing plan was set up in Shandong Province, with the purpose of screening and hiring labourers. Located near the Royal Navy’s base at Weihaiwei, it was followed by a second facility in the port of Qingdao. Recruitment was not difficult, given the region’s poverty and instability and the high wages offered. These consisted of twenty Chinese dollars as a starting bonus, food and clothing, and ten dollars per month partly payable to their families. 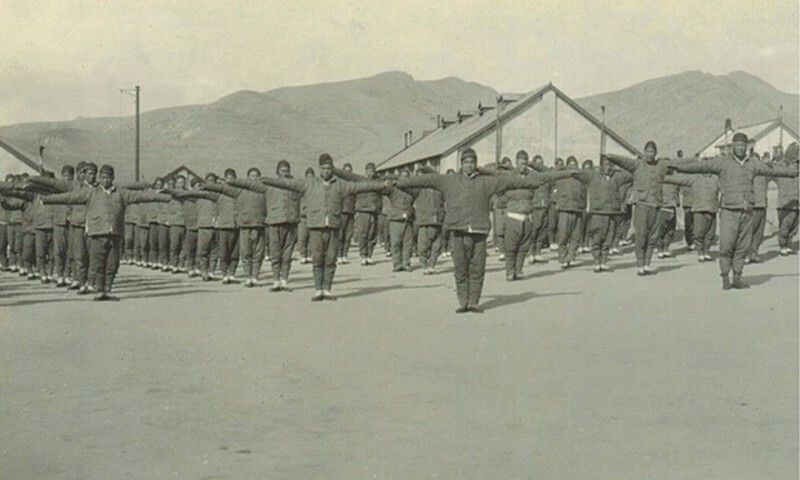 The medical examination was focused on tuberculosis, trachoma (a viral disease of the eye, then prevalent in Shandong), and venereal diseases.20 Some 100,000 were selected, issued a serial number in a dog tag around their wrists,21 and sprayed prior to embarkation. Many still donned a queue and were urged to cut it. Direct Hiring and the End of the Comprador System: a Precedent for General Stilwell’s Training Drive? At the international level, the outcome of the First World War was frustrating for China. Despite being on the winning side and a participant in the Versailles Peace negotiations, China was unable to secure any significant gains. Japan, a more powerful and cohesive state which had entered the war earlier, pre-empted Chinese moves and succeeded Germany in securing rights in China and a number of Pacific Ocean islands. The 62-strong Chinese delegation was attacked following revelations of Japan’s confidential agreements with France, Great Britain and Italy, on the one hand, and Duan Qirui on the other. US President Wilson, originally sympathetic to China, agreed on April 30, 1919 with French PM Georges Clemenceau and British PM David Lloyd George to the transfer of all German rights in Shandong Province to Japan. This “flagrant denial of the new Wilsonian principles of open diplomacy and self-determination,” inflamed Chinese public opinion and prompted many protests.49 Enraged, Chinese students in Paris surrounded the hotel where the Chinese delegation was staying in order to prevent it from signing the Peace Treaty as decided by the government in Beijing, which sent a telegram to that effect.50 Mass demonstrations in Beijing on 4 May would give a name to a movement which sought to renew China and raise her to the position of equal among international powers. One of its immediate consequences was the emergence of a new standard for the written language, based on the modern Beijing dialect, which would replace classical Chinese..51 It would also lead to the creation of the Chinese Communist Party. China’s intervention in the First World War, while contributing to the Allied victory, failed to secure for Beijing any significant geopolitical gains. Indeed, by boosting Japan and weakening the British Empire, it could even be argued that the war facilitated the later clash between the two Asian giants. In its wake, London put an end to the Anglo-Japanese Alliance, sided with the United States, and started work on a new naval base in Singapore, designed to provide a measure of deterrence. The Great War, however, transformed the lives of many Chinese, both members of the Labour Corps and students and intellectuals at home, and helped reinforce the conviction that the country needed to become stronger and renew itself in order to be treated as an equal in the international sphere.52 It was yet another reminder, following less than a generation after the First Sino-Japanese War, that unlike Japan, China had not yet transformed itself into a modern nation state and gained a measure of recognition as an equal by the leading Western powers of the time. The importance of commemorating the First World War and of highlighting their national contribution to the allied victory has not gone unnoticed in Beijing, New Delhi, or Tokyo. The fact that these three major Asian powers, competitors and often party to border disputes on land or at sea, fought on the same side in the Great War is a two-edged sword. It could have led to coordinated efforts and even have provided, in the case of China and Japan, a counter to other historical episodes, very much alive in popular memory, which act as major obstacles to a lasting peace. However, this does not seem to have been the case. China tends to see the Great War mainly in terms of having capped Japan’s successful move from colonialism target to colonial power, with Tokyo not just replacing Berlin in China and the Pacific, but decisively moving towards a paramount position in much of China. CCTV, 2009. “Chinese labors corps”华工军团. Available here. CCTV, 2014. “Chinese laborers in the first World War”一战中的华工. Available here. Chen Sanjing陈三井.1986, 34—35. “Huagong yu ouzhan”华工与欧战[Chinese laborers and the first World War]. Taipei: Zhongyang yuanjinshisuo台北：中研院近史所. As seen in Xu Guoqi徐国琦. 2007, 56. “Wenming de jiaorong—diyi cishi jiedazhanqijian dezaifahuagong”文明的交融—第一次世界大战期间的在法华工[Cultural fusion–Chinese laborers in France during the first World War]. Wuzhou chuanbo chubanshe五洲传播出版社. Deng Xiaojun邓小军. February 15,2009. “Bokaimiwu, tanxun ‘yizhanhuagong’ delishi—fang meiguo kalamazudaxuejiaoshou Xuguoqi”, 拨开迷雾，探寻‘一战华工’的历史—访美国卡拉玛祖大学教授徐国琦, Zhongguodangan [China Archives]. Gu Xingqin顾杏卿. 1937, 50. “Ouzhan gongzuo huiyilu”欧战工作回忆录 [Memoirs of the working experience in first World War]. Shanghai shangwu yinshuguan上海商务印书馆. As seen in Xu Guoqi徐国琦. 2007, 56. “Wenming de jiaorong—diyici shijie dazhan qijian dezai fahuagong”文明的交融—第一次世界大战期间的在法华工 [Cultural fusion–Chinese laborers in France during the first World War]. Wuzhou chuanbo chubanshe五洲传播出版社. International academic conference of Chinese labors during World War I, held in Weihai威海. September17–19, 2008. Available here. National Palace Museum. 2011. A Century of Resilient Tradition: Exhibition of the Republic of China’s Diplomatic Archives. Taipei: National Palace Museum. Pope, Stephen, Wheale, Elizabeth-Anne, and Robbins, Keith, eds. 1995. Dictionary of the First World War. New York: St.Martin’s Press. Song Enrong宋恩荣. 1989, 528. “Yanyangchu quanji”晏阳初全集[Complete works of Y.C. James Yen]. Hunan jiaoyu chubanshe湖南教育出版社　[Hunan education press]. Vol.2. As seen in XuGuoqi徐国琦. 2007, “Wenming de jiaorong—diyici shijie dazhan qijian de zaifa huagong”文明的交融—第一次世界大战期间的在法华工[Cultural fusion–Chinese laborers in France during the first World War]. Wuzhou chuanbo chubanshe五洲传播出版社. Xu Guoqi徐国琦. 2007, 56–60. “Wenming de jiaorong—diyici shijie dazhan qijian dezai fahuagong”文明的交融—第一次世界大战期间的在法华工[Cultural fusion–Chinese laborers in France during the first World War]. Wuzhou chuanbo chubanshe五洲传播出版社. Xu, Guoqi. 2011. China and the Great War: China’s Pursuit of a New National Identity and Internationalization (Studies in the Social and Cultural History of Modern Warfare). Cambridge: Cambridge University Press. Yang, Jichen杨机臣. September 8, 2007. “Beiyi wangde 15wan zhongguo yizhanhuagong”被遗忘的中国一战华工[The forgotten Chinese laborers in the first World War]. Zhongguo zuojia中国作家Chinese writers. 1 A. Calvo, “Japan and the Century Since World War I”, Shingetsu News Agency, 20 June 2014, available here. 6 Text of the demands, 7 May 1915 ultimatum, and Chinese reply, reproduced in Michael Duffy, “Primary Documents – ’21 Demands’ Made by Japan to China, 18 January 1915”, FirstWorldWar.Com, 22 August 2009, available here. 12 Xu Guoqi 徐国琦. 2007, 56–60. 16 Chen Sanjing 陈三井.1986, 34—35. 41 “The U.S. Army insisted that the soldiers at Ramgarh be paid individually and by public roll call. The Chinese constantly agitated that the soldiers’ pay be turned over in a lump sum to the commanding officer of the units involved. This was the traditional channel of theft in the Chinese Army, and the U.S. Army refused.” Stilwell 1948, 213.